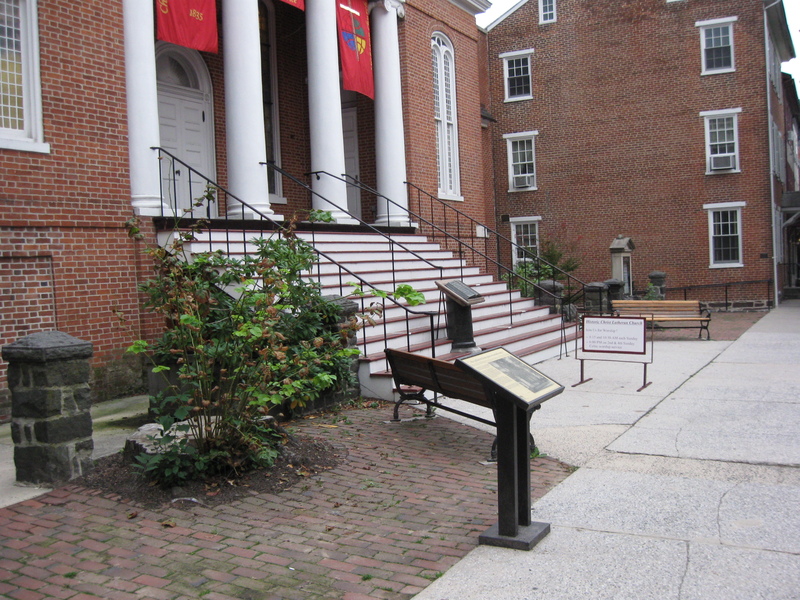 The two witness trees that stood in front of (north of) the Christ Lutheran Church have been gone since January. 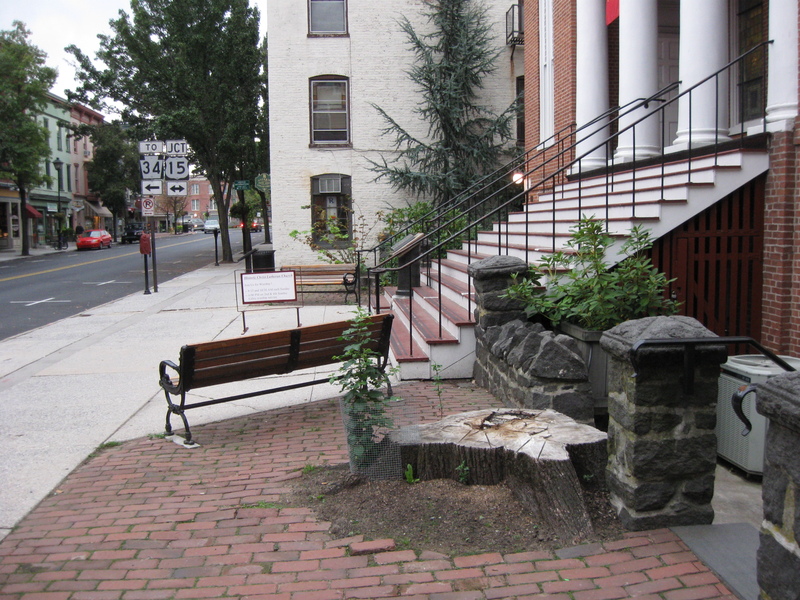 But new trees are attempting to grow from the old stumps as seen in the left foreground of this photograph. This view was taken facing southwest at approximately 7:15 AM on Sunday, September 26, 2010. 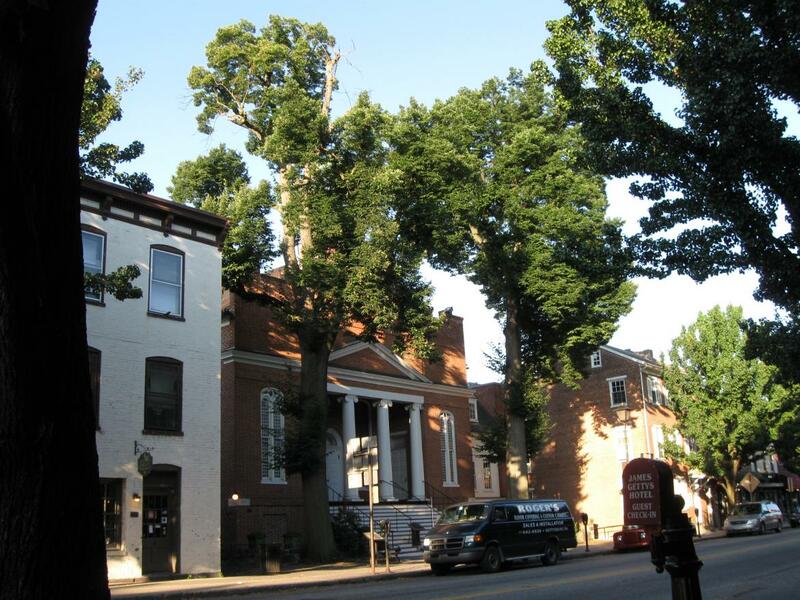 The 170 year old Witness Trees at Gettysburg’s Christ Lutheran Church, on Chambersburg Street, have been completely removed, but new trees are attempting to take their place. 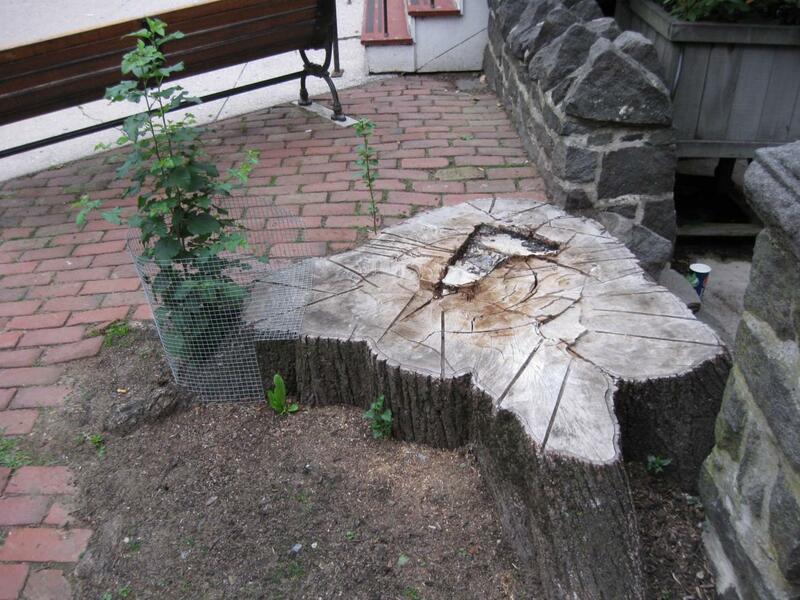 In our previous Christ Lutheran Church post we showed that the east tree had been completely removed, and most of the west tree. 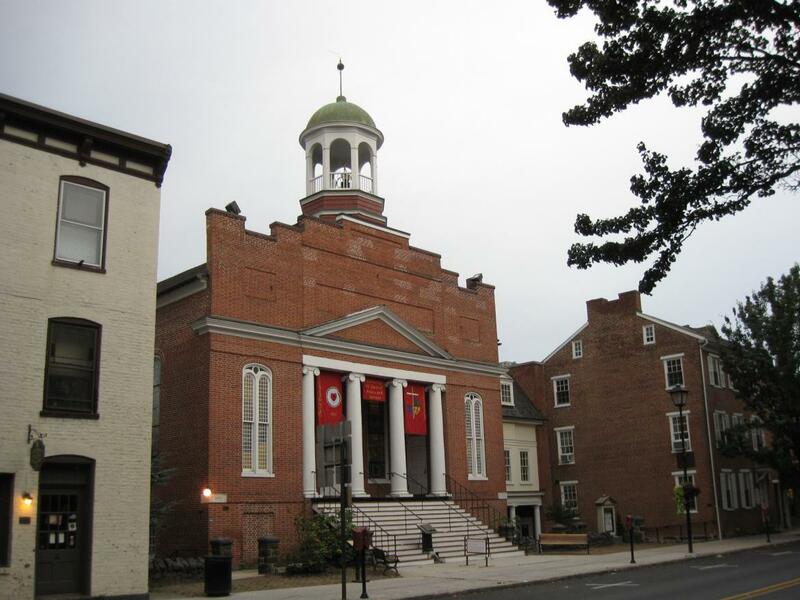 In our January 10, 2010 post, we showed that both trees had been completely removed, and for the first time in approximately 150 years, there is a completely unobstructed view of the Chambersburg Street side of the church. 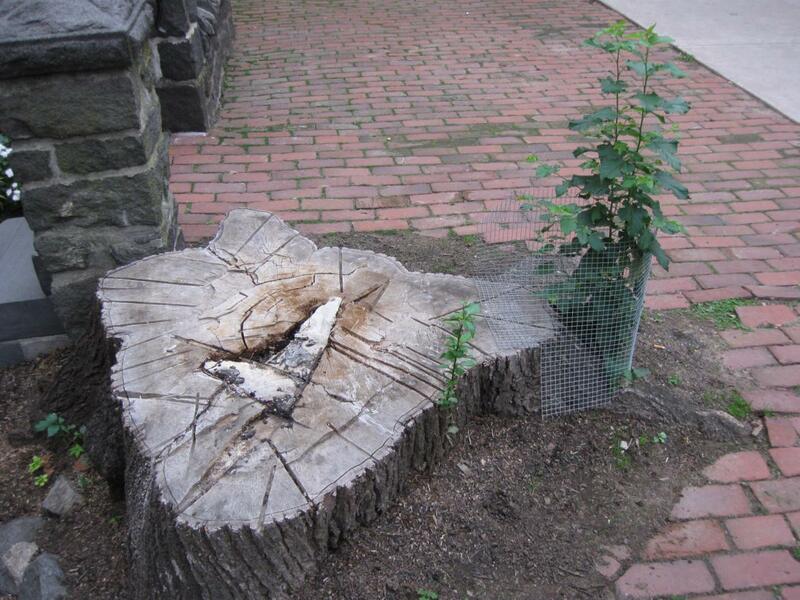 In today’s post we show that multiple new sprouts are coming up from around the old stumps. 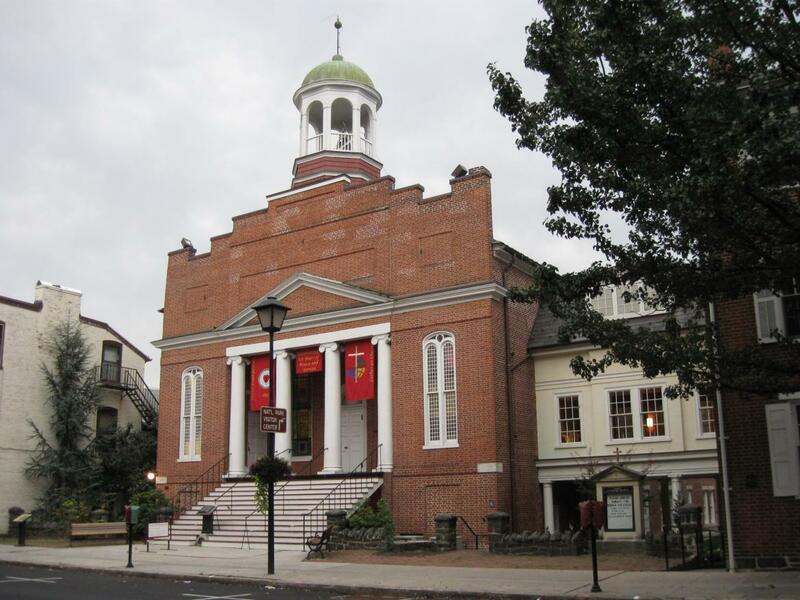 Some of which we hope will survive for another 170 years. It is nice to have an unobstructed view of Christ Lutheran Church. This view was taken facing southwest at approximately 7:15 AM on Sunday, September 26, 2009. But it was also nice to have the Linden trees present. This view was taken facing southwest at approximately 7:00 AM on Thursday, July 9, 2009. The tree on the northeast side of the church is making the most progress. 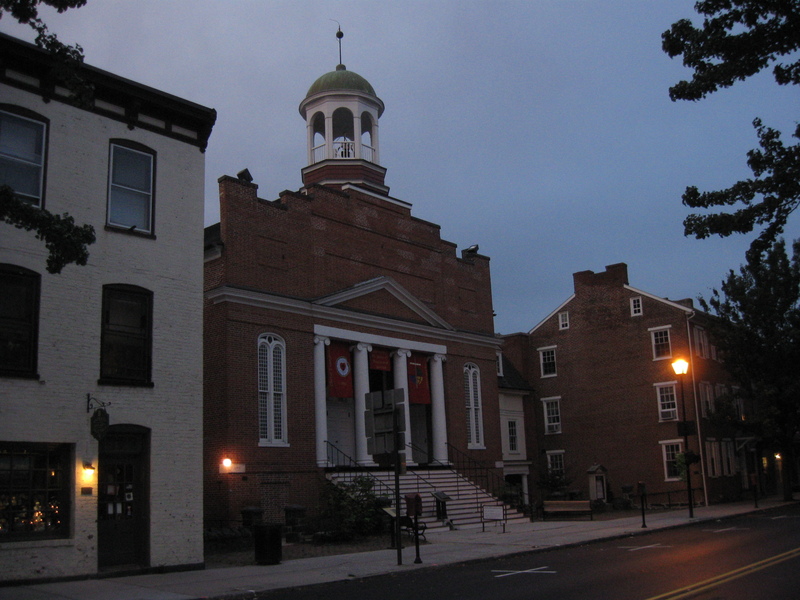 This view was taken facing southwest at approximately 7:15 AM on Sunday, September 26, 2009. 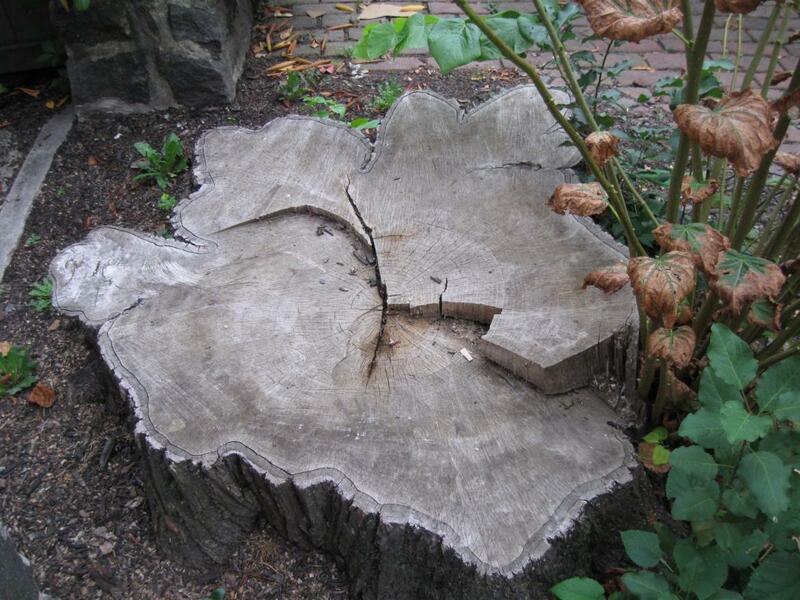 The stump out of which it was growing was approximately 170 years old. This view was taken facing west at approximately 7:15 AM on Sunday, September 26, 2010. 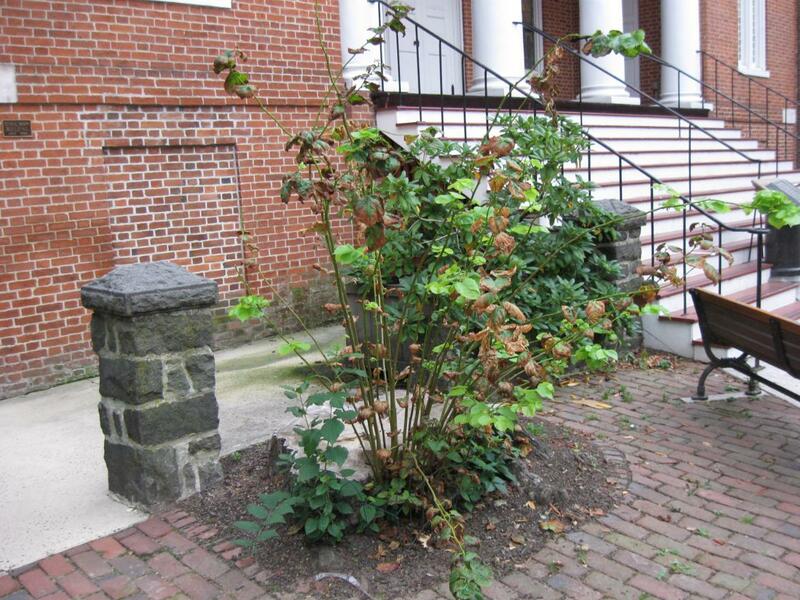 Linden trees are known as “medium fast” growers and are capable of growing 30 feet in ten years. The tallest of these “shoots” is approximately seven feet tall. This view was taken facing northwest at approximately 7:15 AM on Sunday, September 26, 2010. 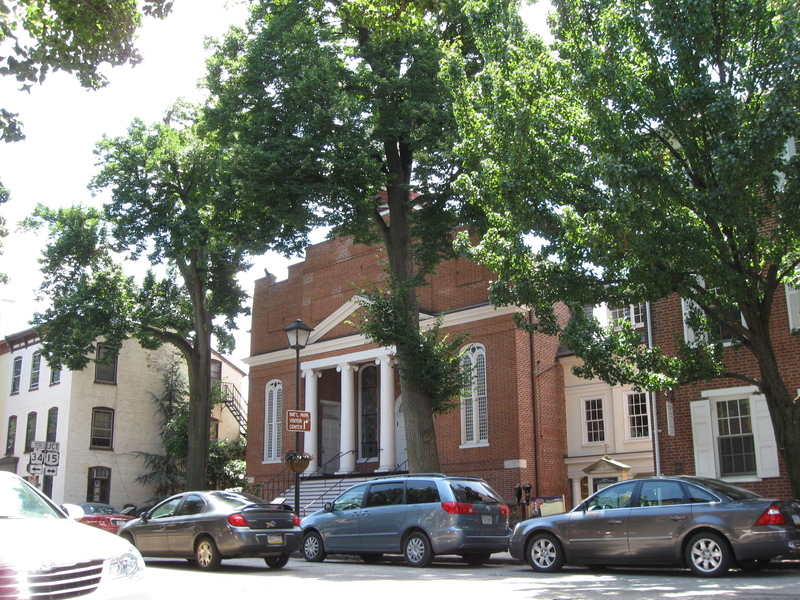 The trees reach apprximately 70 feet in height, so in 25 years, those fortunate enough to still be around might see them at the height of the trees which used to grow in front of the church. This view was taken facing east at approximately 7:15 AM on Sunday, September 26, 2010. 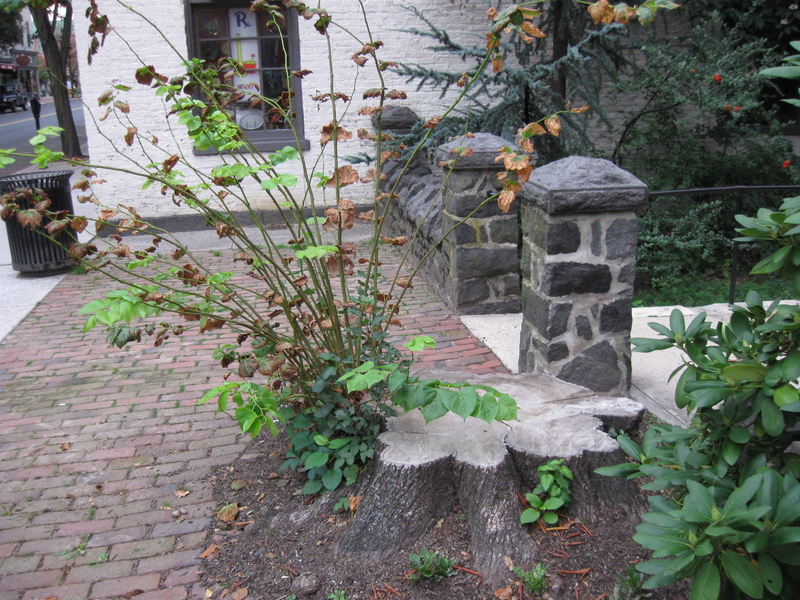 The new growth at the tree stump on the northwest side of the church is a little slower than the one on the northeast side. This view was taken facing east at approximately 7:15 AM on Sunday, September 26, 2010. The reason these shoots are a little slower is because at first some church members thought the shoots were weeds and eliminated them. This view was taken facing southwest at approximately 7:15 AM on Sunday, September 26, 2010. 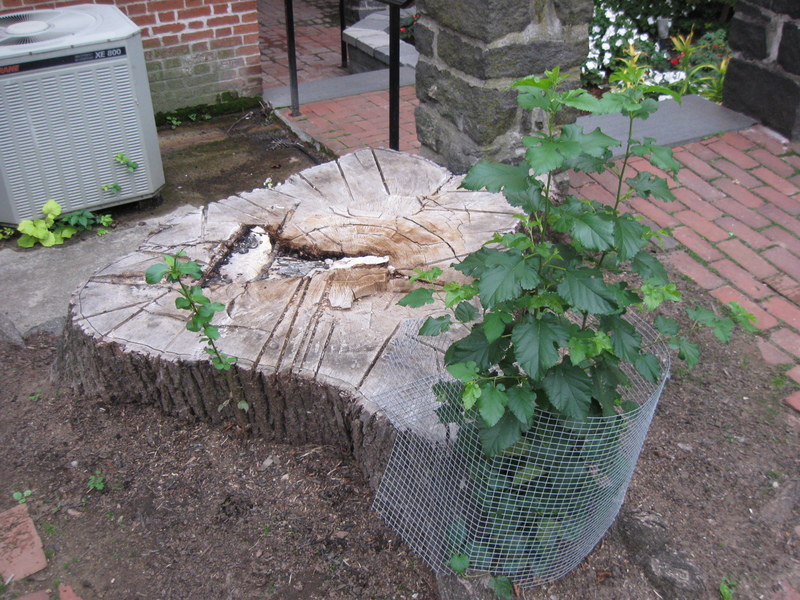 However, they’re starting to come back strong now with the best growth having a wire mesh covering (it is a little less than three feet tall), but another shoot is also showing up on the east side of the stump. This view was taken facing west at approximately 7:15 AM on Sunday, September 26, 2010. 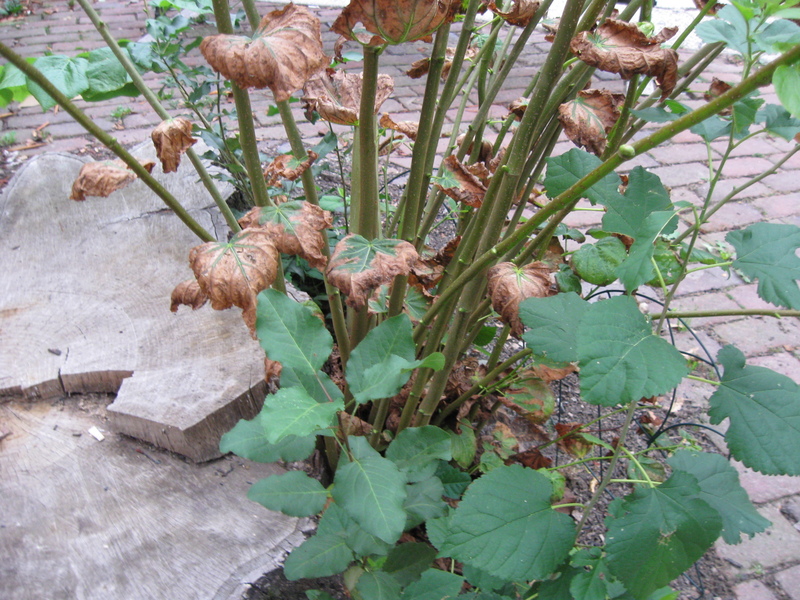 Three more shoots are growing out of the west side of the stump. This view was taken facing west at approximately 7:15 AM on Sunday, September 26, 2010. So if we are lucky enough that the trees are making rapid progress, take some nice long looks at the unobstructed Christ Lutheran Church. This view was taken facing southeast at approximately 7:15 AM on Sunday, September 26, 2010. It might not be too long before these trees grow up to witness some history we can not imagine over the next 170 years. This view was taken facing southeast at approximately 7:00 AM on Thursday, July 9, 2010. This view of the church might only be around for the next five to ten years. This view was taken facing southwest at approximately 7:00 AM on Sunday, September 26, 2009.